Dr. Brockway was a complex man of many talents. He was passionate about many things -- teaching, research, books, knowledge, music, art, marriage . . . and life. He had many projects in the works when he died in 2001. With the assistance of his wife and soul mate Katie we are delving through a lifetime of photos, journals, research and teaching notes, unpublished manuscripts, music, art, etc. and we editing and publishing a series of Web features that we are sure will be of great interest to scholars, historians, former colleagues and students, researchers . . . and the general public. 2. Plucky Pioneers of Army Aviation in Hawaii: They Earned Their Flying Pay! THEY EARNED THEIR FLYING PAY! from the great heads of Europe. The Jung Cult received great attention for its revisionist opinions about C. G. Jung and the origins of depth psychology. 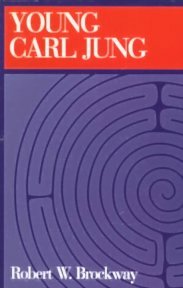 Young Carl Jung offers a more balanced view with rare glimpse into Carl Jung's formative years. In a masterful retelling of Jung's childhood, Brockway provides a clear perspective on the impact young Carl's experiences played in forming his later theories. 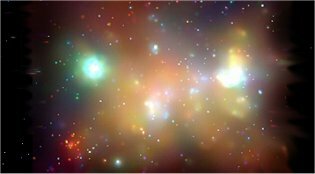 Jung himself attributed his discovery of the collective unconscious to early childhood experiences beginning with a particularly vivid dream. From Brockway's on-site research in Switzerland to his analysis of Jung's octogenarian biography, Memories, Dreams, Reflections, the historical, geographical, and intellectual influences that also impacted Jung are woven into this engrossing picture of his ancestry, birth, and school years. The Reverend Dr. Robert W. Brockway died December 10, 2001 at 78 years of age. He was born September 10, 1923, in Washington, D.C. but spent most of his early years in Hawaii, where his father was stationed with the U.S. Army. Dr. Brockway received a B.A. from American University in Washington, D.C.; an M.A. from Columbia University; and an M.Div. and a Ph.D. from Union Theological Seminary. He served as a Unitarian minister before and after getting his Ph.D. in religion, in Northport, New York; Wellesley Hills, Massachusetts; Hamilton, Ontario; Lafayette, Louisiana, and Brandon, Manitoba. After leaving the full-time ministry in 1959, he taught at Coventry Technical College (England), then at the University of Southwestern Louisiana. 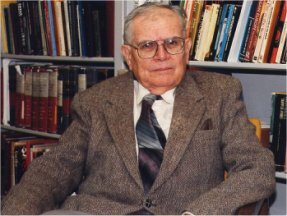 He spent twenty-three years at Brandon as a professor of religion, retiring as a Professor Emeritus in 1987. He is the author of Young Carl Jung, Myth from the Ice Age to Mickey Mouse, and A Wonderful Work of God, as well as numerous articles and research reports and an unpublished history of Hawaiian revolutions, a book on prehistoric religion, a history of the armed forces in Hawaii, and other books in progress at the time of his death.